Known as “Lefty” for his left-handed swing, Phil Mickelson is otherwise right-handed. In his youth, he learned golf by mirroring his right-handed father's swing. 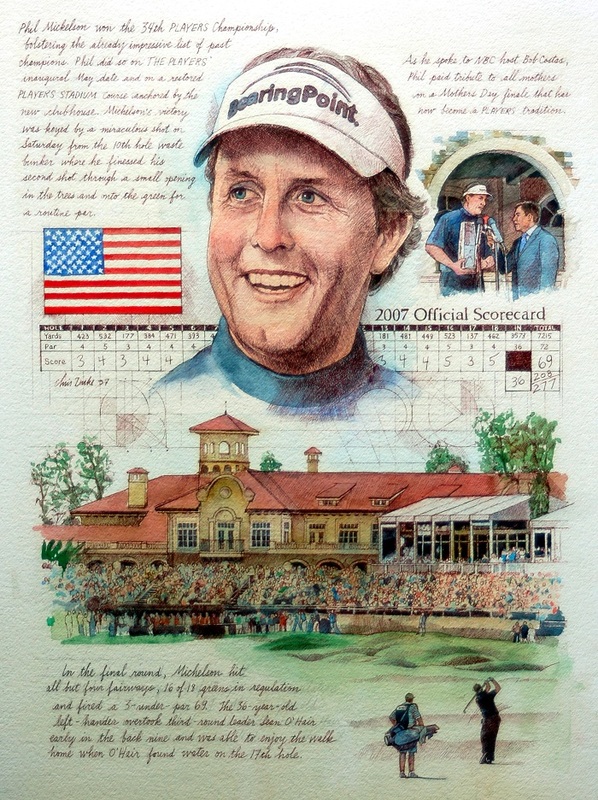 Phil won the 2007 PLAYERS tournament when he was thirty-six years old. He is one of my favorite players to watch as he always looks like he is having fun. I particularly enjoyed illustrating the magnificent Sawgrass clubhouse as backdrop to Phil and his caddie on the 18th hole, capstone of the tournament.